Cary, NC – For creative and adventurous chefs, incorporating ingredients and making dishes from different cultures is always fun and exciting but it also means having to go to many stores. But at Around the World Market, there are many countries and cultures represented, all in one location. At Around The World Market on Hillsborough Street, the main focus of the store is on Indian food. But as anyone familiar with Indian cuisine knows, there is a lot of diversity in dishes between different parts of the country. All of these ingredients can be found at Around The World, with long aisles containing spices, peppers, seasonings and of course the rice, lentils and other bases. Shoppers have access to large bags of all different varieties of rice to hold them for months on end. And cooks can even get the pots and utensils needed to cook the dishes, as Around The World serves as a one-stop shop. In the front of Around The World, there is also a small kitchen serving pure vegetarian food. “It’s a lot of what we’d call ‘street food’ in India, like our version of fast food,” Patel said. Customers can find more than just Indian ingredients at Around The World. They have food from countries from, well, around the world. A large portion of their customer base is Middle Eastern and there are some ingredients are from Afghanistan, for example. But there is also a lot of overlap between Indian food and what is used in Middle Eastern cooking. Around The World also has a wide selection of foods from around Africa, mainly Kenya and South Africa, such as gravy, spices and tea. And again, these cultures have a lot in common with what is eaten in Indian cuisine. And there are also many British products at Around The World, from fine teas to biscuits and other treats. 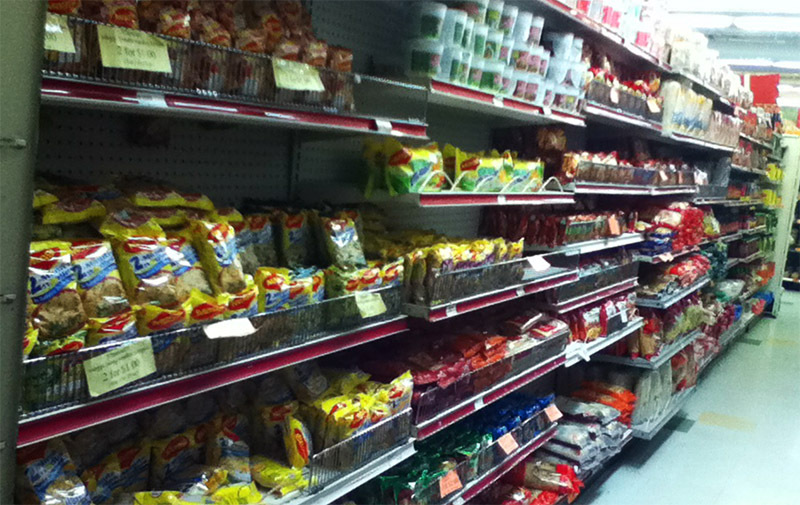 In fact, Around The World carries a variety of candies and other snacks from, once again, around the world. 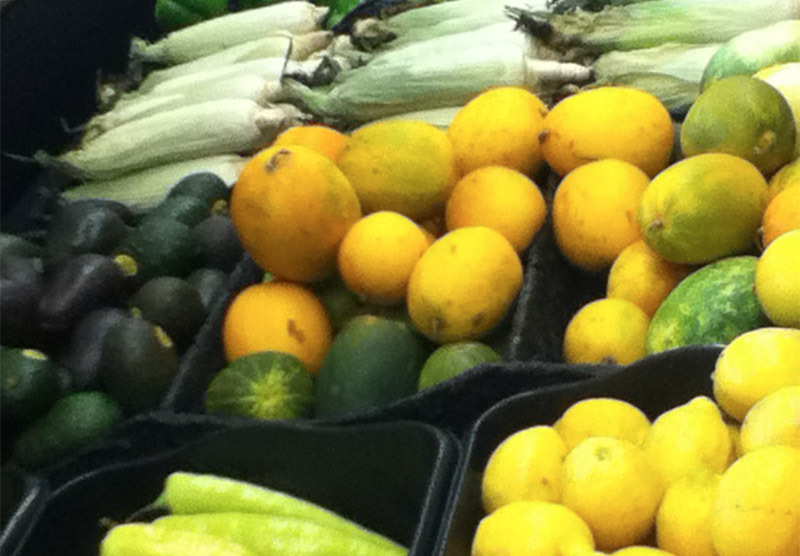 All of these cultures’ food is also mixed together in the wide selection of fresh fruits and vegetables. Here, you can get produce including African yams and Indian peppers. 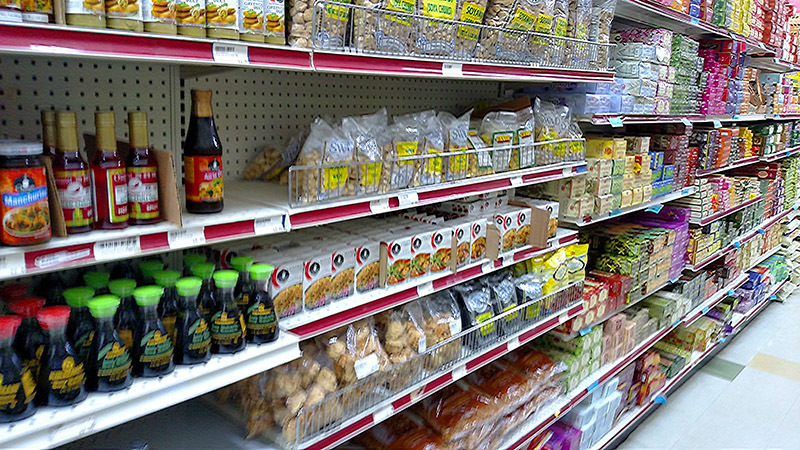 So if you want to shop from a mix of authentic ingredients from all different cultures and countries, check out Around the World Market on 6715 Hillsborough St.
Story by Michael Papich. Photos by Michael Papich and courtesy of Around The World Market.